Cavalier Carpets have been producing quality carpets for the home since 1972 and today they are one of only a handful of companies that manufacture carpets in Wilton, Axminster and Tufted constructions. 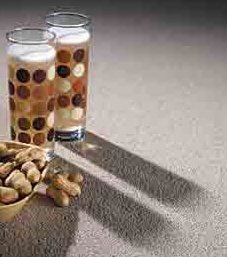 Their Liberty Twist carpet is made from 80% wool, 10% nylon, 10% polyester construction for a luxury feel cobmined with a low wear-rate and easy cleaning. This really is the perfect carpet for high-wear areas such as living rooms and dining rooms, where you still want a deep luxury feel. Ox Flooring supplied the vinyl flooring in our new office building, and I can highly recommend them. They advised us on the styles available and which products were the hardest-wearing and the best value-for-money. The new floor looks rally professional and gives the building a nice airy feel. Find us on the corner of Leckford Road and Kingston Road. Parking is available and a friendly welcome awaits you.